Local search engine optimization is a growing trend reflecting consumers’ desire to find businesses and services specific to their geographic location. Traditionally, SEO falls under marketing and social media activity is categorized as a PR effort, often creating a conflict in strategies. 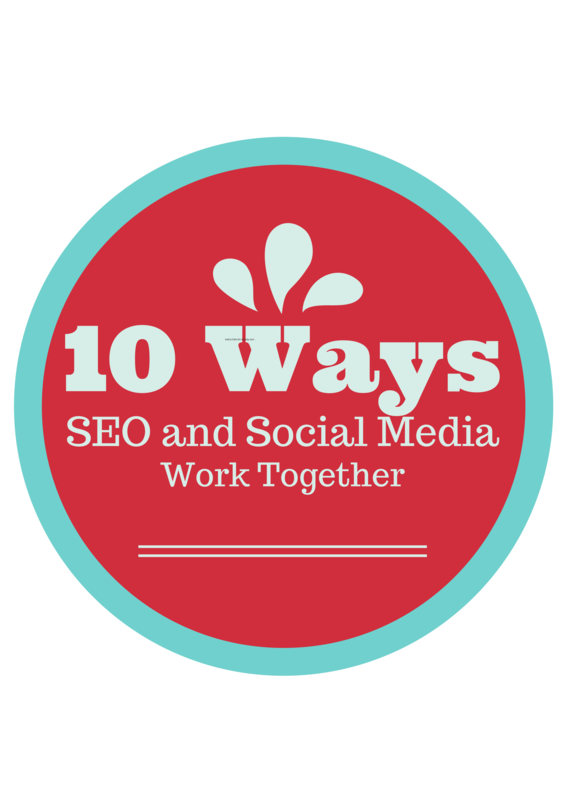 However, an argument can be made that local SEO and social media should work together with the purpose of achieving the same goals, especially when you consider the surprising ways SEO and social media can work together. While it’s certainly possible to track website traffic in real-time, you don’t get the same immediate feedback you get from social media. The instant interaction you get with social media also allows you to quickly gauge the effectiveness of certain keywords and phrases, including geo-based keywords designed to attract local consumers. Search engine bots that scroll through sites to gather ranking data look at many factors, including how much interaction is going on from all your online platforms, including your social networks. For this reason, it’s important to ensure that you’re delivering a uniform message and, more importantly, putting out plenty of content across all platforms to encourage successful integration. The worst case scenario, in terms of SEO, is to be lulled into a false sense of serenity by only looking at your web traffic without tracking how your social sites are doing. By tracking all stats together, you’ll get a better idea of how customers are finding out about your business and what actions they’re taking. This gives you a better idea of where you need to put your SEO efforts. At the end of the day, the marketer with the most data wins. Whether you’re trying to raise awareness for a particular community service campaign or you want to launch a new product, you’ll reach a larger audience if you coordinate your marketing and PR efforts across all Web-based and social platforms. Social media is especially effective in getting messages out since information can easily be shared and disseminated to the masses. With a little careful investigating, you can determine what audiences they are going after and what methods they are using to reach those potential consumers. There’s no shame on keeping tabs on your competitiors to know how to crush them. By adjusting your SEO techniques, you can make an effort to reach audiences your competitors may be ignoring or find creative ways to direct the flow of traffic to back to your website via your social platforms. When you incorporate some strategic keywords and phrases into your social media efforts, link building can be a more productive task. Even with social media, however, link building still involves some trial and error and you’ll need to make sure your content is fresh, engaging and relevant. Regardless of the platform, content is an essential part of all SEO efforts, especially when targeting local audiences. This should include collecting target demo data and identifying key topics according to each segment of your desired audience. Fortunately, there are plenty of Web and social analytical tools you can use to get very detailed info on who’s viewing your content. Consider adopting a month-by-month SEO plan to ensure that you’re displaying and posting content that’s conducive to link building. One unique aspect of social media is the growing power of so-called influencers, or active social media users seen as a trusted source of information among your target audience. With carefully selected keywords and phrases, you can catch the eye of some of those key influencers, many of whom are actively looking for engaging content that fits in with their audience. By including social media in your SEO efforts, you’ll have a better shot at developing some much-needed brand recognition by incorporating strategic keywords, along with a link back to your site, in anything you do socially, from posting how-to videos on YouTube to your regular tweets and social posts. Social media coupled with SEO can prove legitimacy of your brand, increase outreach success and improve your online reputation. There are a few arguements out there saying that the best social media managers are completly automating thier efforts, but this is not the best practice. With social media, you can nip any negative reviews, especially ones that may not be legitimate, in the bud with a carefully worded response. With social media, you can quickly develop a damage control response, act quickly and swiftly to minimize any damage to your search engine rankings, show a personal interest in resolving issues and avoid escalation that could hinder future SEO efforts.